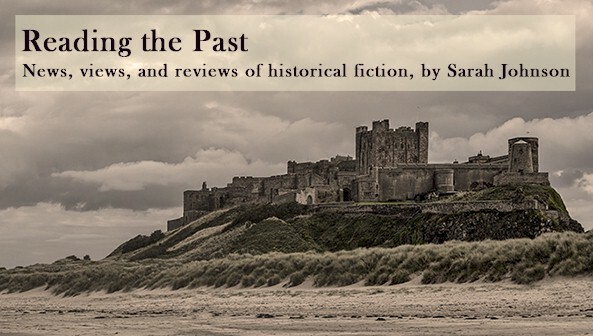 Family and politics are inextricably tangled in Sherry Jones's Four Sisters, All Queens, which examines feminine power in 13th-century England and Europe. One could expect no less in a novel about the four daughters of the resolute Beatrice of Savoy, Countess of Provence, who narrates the prologue. Marguerite, Eléonore, Sanchia, and Beatrice may not have been the only quartet of sisters to become queens, but they may have left the grandest legacy, having shaped their world both with and without their husbands’ support. 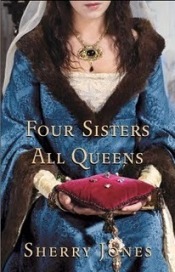 Four Sisters, All Queens was published by Gallery/Simon & Schuster in May at $15.99/C$18.99 in trade paperback (434pp + epilogue and readers' guide). I have this to read. I am hoping to get to it soon! I'll be curious what you think! Great review! Can't wait to read this myself. Sarah, thank you for reading and reviewing FOUR SISTERS, ALL QUEENS. :) I am honored by this review! Thanks for your comments, Sherry, and best wishes for success with your novel! There's also a biography of these sisters by Nancy Goldstone - FOUR SISTERS, THE PROVENCAL SISTERS WHO RULED EUROPE - that's good. Hi Sarah, I haven't read Goldstone's book yet although it was mentioned in the afterword as the inspiration for this one. I read Goldstone's book, too, found it very interesting and certainly readable. There is some competition between the sisters, but it isn't soap opera-ish, if that's what you mean! I have this one to read and am very eager now after your review -- esp when you said, "The novel’s elegant language has a subtle lyricism about it..." YUM! I wasn't expecting it to be literary fiction based on the packaging, but it could easily fit in that category. A pleasant surprise! It's not one to speed through. I'll look forward to your review!